Digitimes reports that TCL-subsidiary China Star Optoelectronics Technology (CSoT) has decided to construct a 6-Gen LTPS flexible AMOLED production line in Wuhan, China, in a $5.08 billion investment. The new fab will have a monthly capacity of 45,000 substrates and will start trial production of small to medium sized flexible OLEDs in Q2 2019. If this report is true this fab may be an extension of CSoT's already-announced Gen-6 LTPS line in Wuhan, China (that should begin production soon) - that will produce both LCDs and OLEDs. Or it maybe a different fab located nearby to that first LTPS fab. In 2016 CSoT also announced an ambitious plan to construct a $6.96 billion LCD and OLED Gen-11 production fab in Shenzhen. The new fab, built by TCL and Shenzhen Huaxing Power with help from the Shenzhen Economic and Trade Commission, will have a monthly capacity of 90,000 Gen-11 substrates (3370x2940 mm) and use IGZO backplanes. CSoT also announced plans to increase investment in this future fab by a further $3.15 billion, and Samsung will hold a 9.76% stake in this new fab. 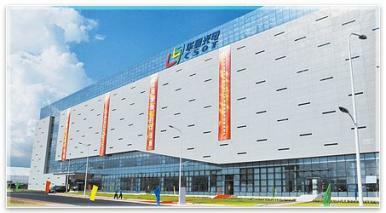 CSoT is involved with OLED printing R&D (and in 2016 established a joint venture with TianMa called Guangdong Juhua Printing Display Technology). CSoT aims to use printing technologies to produce large-area OLED TV panels. The small-sized flexible OLEDs will be produced using an evaporation process.